Amsterdam is a laboratory of progressive living and tolerance, bottled inside Europe's most 17th-century city. Like Venice, this city is a patchwork quilt of canal-bordered islands, anchored upon millions of wooden pilings. 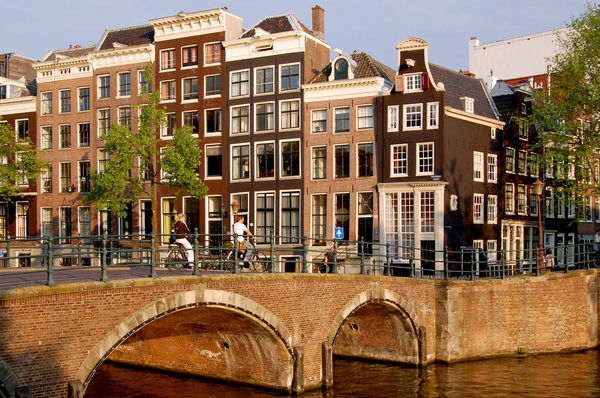 But unlike its dwelling-in-the-past cousin, Amsterdam sees itself as a city of the future. And after years of reshuffling and rebuilding, Amsterdam is coming together, and finally completing several ambitious projects. People who love Dutch art are thrilled about the most recent improvements at the Rijksmuseum — the results of a radical, 10-year renovation. Built in 1885 to house the nation's great art, the Rijksmuseum owns an incomparable collection of 17th-century Dutch Masters: Rembrandt, Vermeer, Hals, and Steen. Earlier renovations had chopped up the original space into narrow, sparse galleries. But the Rijksmuseum now matches the vision of its original architect, Pierre Cuypers. Natural light floods large, high-ceilinged rooms. These viewing galleries surround two massive courtyards that were walled up for half a century. Visitors wander through Neo-Gothic halls with Romantic murals that were painted over in the post-war era. On the bottom floor, there's a bright space for visitors that includes information desks, a café, and gift shop. While most of the collection was completely rearranged after the renovation, Rembrandt's masterpiece — The Night Watch — remains in its original position at the center of the building. Nearby, another of Amsterdam's top draws — the Van Gogh Museum — has also reopened after an upgrade. Its entrance now faces the inviting grassy square called Museumplein, in harmony with the Rijksmuseum's new Museumplein main entrance, and with the architecturally daring new entry to the Stedelijk Museum, the Netherlands' top modern-art museum...which was also recently renovated to best flaunt its fun, far-out, and refreshing exhibits. 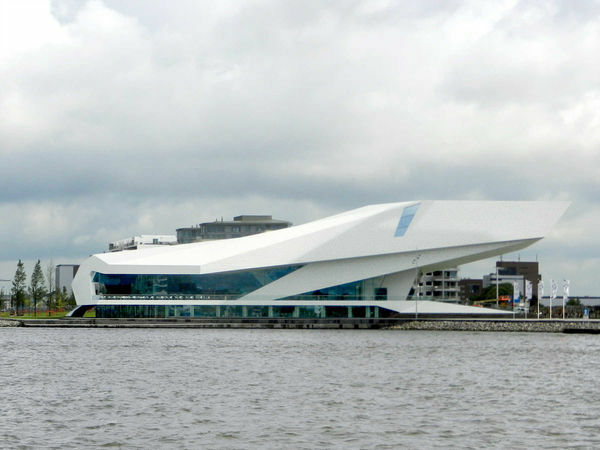 While Amsterdam was busy spiffing up its museum quarter, the skyline across the water from its train station gained a new focal point — the EYE Film Institute Netherlands. This striking and sleek modern building heralds the coming gentrification of the north side of the IJ (pronounced "eye," a body of water that separates Amsterdam from its northern suburbs). The building is a complex of four theaters and a trendy café with great riverside seating. Even getting there is fun: From behind the train station just catch the free ferry across the water. Boring a subway tunnel here is especially difficult, given the challenge of digging under ancient buildings that stand on pilings driven centuries ago into the mud. In the Middle Ages, buildings were made of wood, but devastating fires repeatedly wiped out entire neighborhoods, so stone became the building material of choice. Stone was too heavy for a foundation set in mud, so pilings were driven 30 feet through the mud and into more stable sand. (The wood survives if kept wet and out of the air.) Today's biggest buildings have concrete foundations that go down as much as 120 feet deep. The new subway has to go under all this without damaging historic structures — one reason it's behind schedule and way over budget. Still, when the new subway line is finished, it'll smartly accommodate the Amsterdam of the future. The 100,000 people living in northern Amsterdam across the river will suddenly be just minutes from the center. 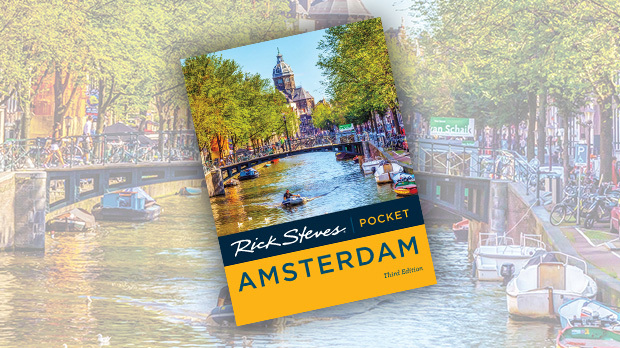 During its Golden Age in the 1600s, Amsterdam was the world's richest city, an international sea-trading port, and the cradle of capitalism. Amsterdam today — with its tolerant social mores and huge investments in culture and transportation — is still a bold experiment in modern living.